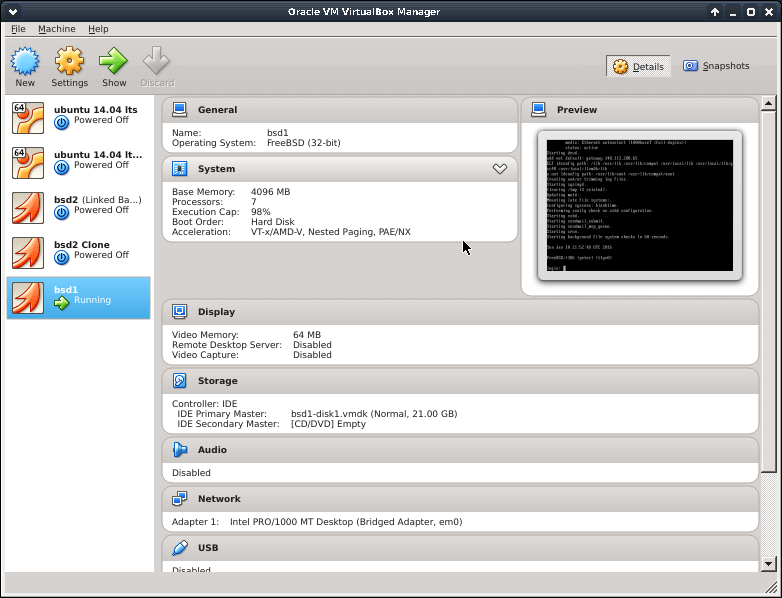 VirtualBox is a very useful x86/AMD64 virtualization application, we usually use it to test different operating systems, or do some computer science related practices, or maybe we just want to slice the hardware resource for resource utilization. 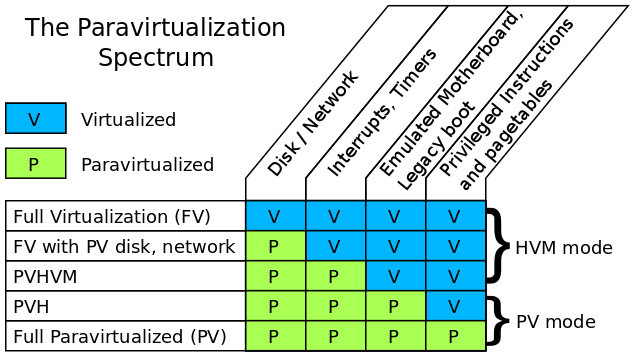 I would like to run a virtualbox program on my powerful servers, and use a lightweight but not powerful computer like Chromebook to remotely connect to the virtual machines under the virtualbox, so that I don’t have to bring a heavy computer every where, I can still have multiple machines with several different systems to run different programs. From the beginning, I use vnc server with x window via ssh tunnel to create a secure connection and then launch virtualbox, in fact, the window manager is not always needed, especially we have installed the operating system, and the system runs properly, so I wonder if is possible to control the virtual machines under command line interface, and the answer is yes, and the command line virtual is much more powerful than I thought, I guess all the tasks and configurations can be done via command line now, of course including create/clone a vm or modify a vm hardware resource, vm import/export, share folder, network interface or usb device attach/detach, etc. 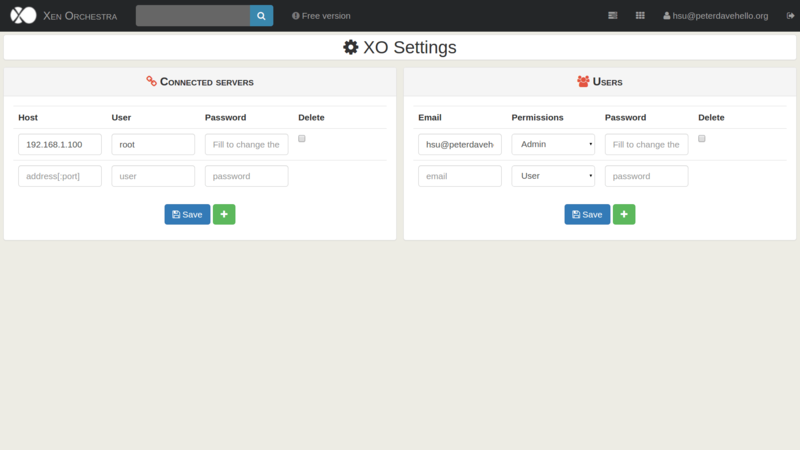 Without controlling via GUI, but from command line, I don’t need to start a vncclient then connect to my vncserver, also don’t need to forward the x window to my client, that’s very helpful, and that machine can run “in the background”, in fact, under the x window by vncserver, note that virtualbox still need a x window environment with virtualbox launched(at least by virtualbox v4.3.34), by my test result, if you don’t have a GUI virtual launched, the startvm command I will talk about later will not work, it will tell you vm started successfully, but in fact not, and will return 1(exit status). 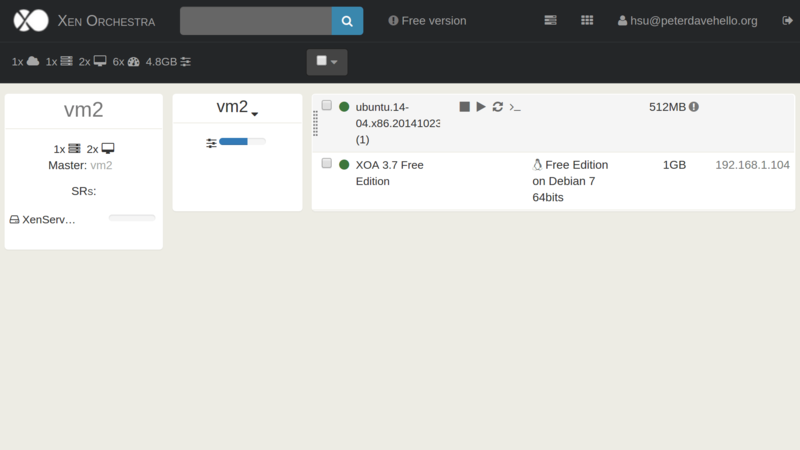 I want to share some basic and commonly used commands, to help us control a virtualbox created virtual machine, if you didn’t know that before, hope this can help you. 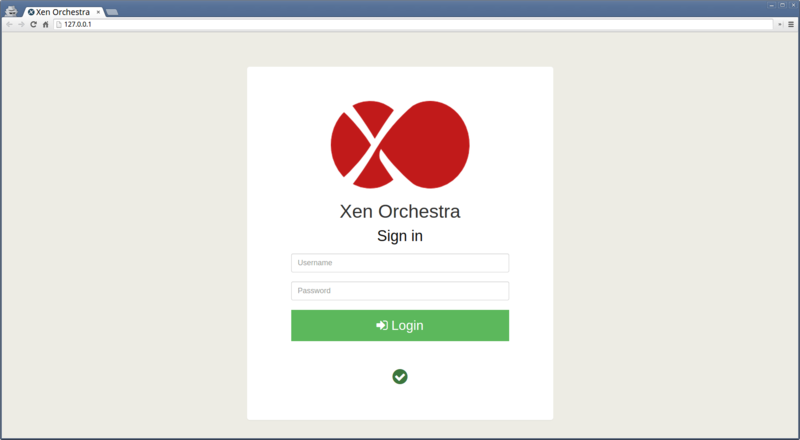 does not, fortunately, there is Xen Orchestra(XOA) to help us manage XenServer via Web UI and support https by default, you can download Xen Orchestra from https://xen-orchestra.com/, they also put the projects on https://github.com/vatesfr. 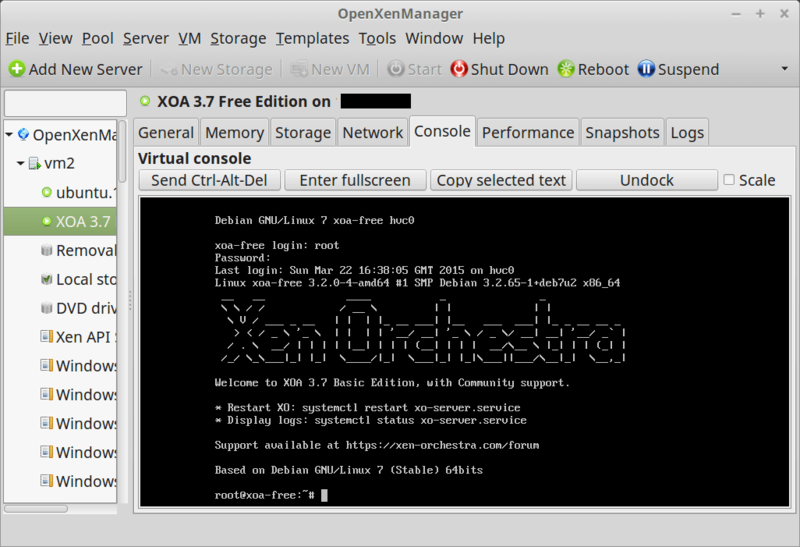 I think Xen Orchestra really makes XenServer more convenient, but it’s not full functional as XenCenter or OpenXenManager. 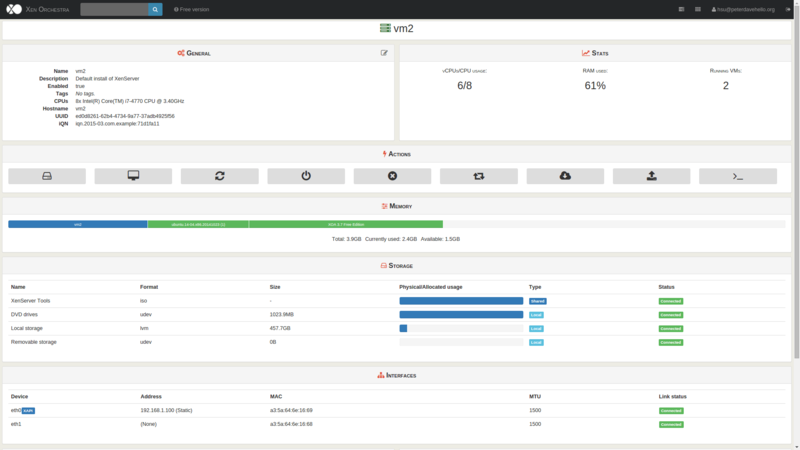 XenServer is a popular and reliable virtualization solution. 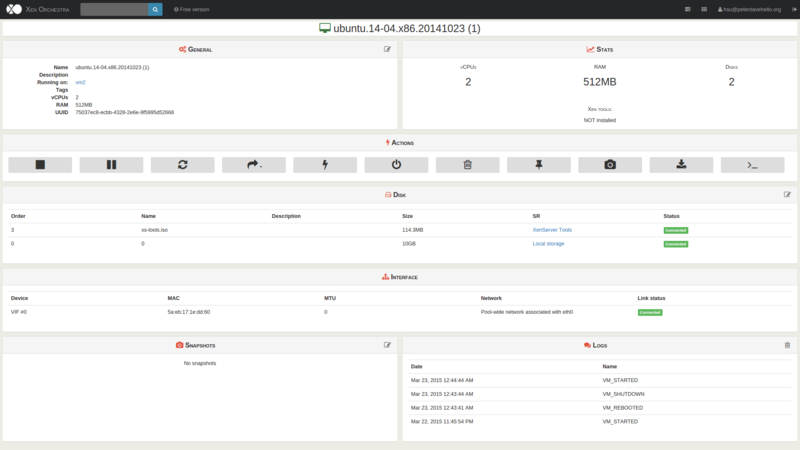 as a system admin, I’ll like to install some useful packages to help me manage my servers, on XenServer 6.5, which is based on CentOS and using yum as its package manger. 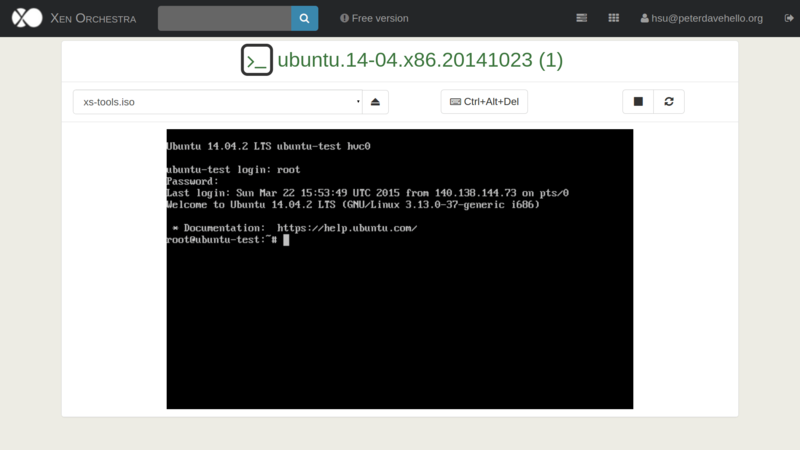 Now it works fine now!